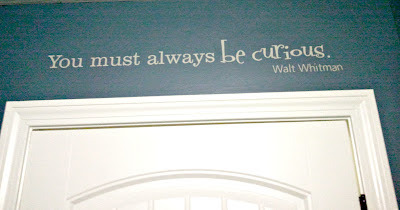 Belvedere Designs: Make An Entrance...Literally! You can make any doorway or room entrance unique with Belvedere Designs vinyl wall quotes! 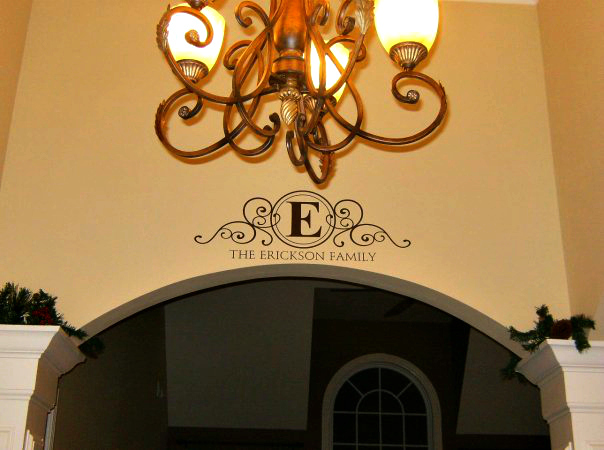 Walking out your front door or into your living room will always put a smile on your face when you add your favorite quote or family monogram. All wall quotes are completely customized in size to fit perfectly over any doorway, so go ahead and make an entrance! 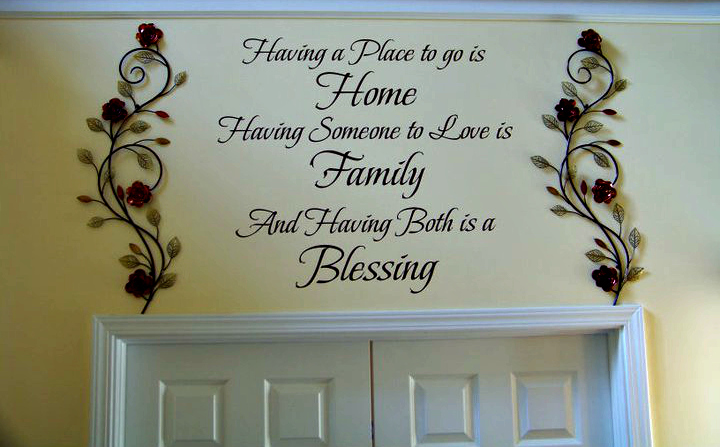 Below we have a few examples from our fabulous customers to give you some inspiration on making your doorways unique! The Hawkley family decided to go with a large monogram and embellishment over their front door. 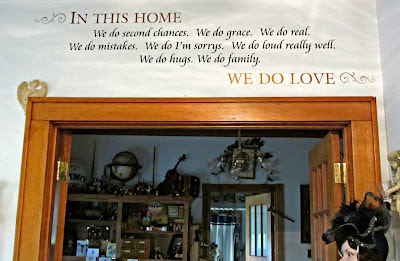 Now whenever you leave their humble abode you'll see their proudly displayed family name. and you will find many combinations to fit your personal style and home decor.